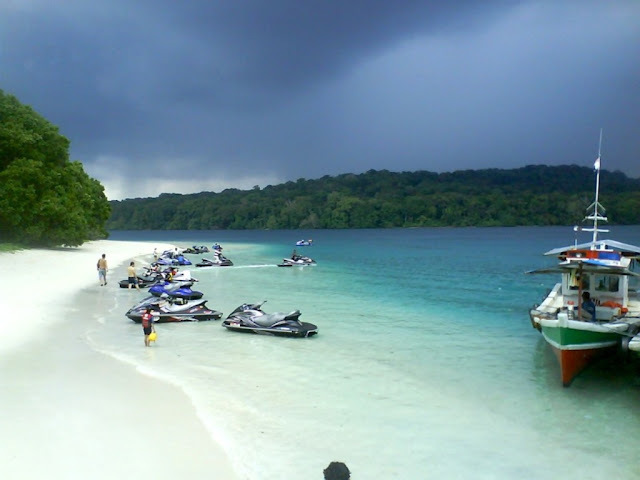 Ujung Kulon National Park is located at the westernmost tip of Java, within Banten province of Indonesia. 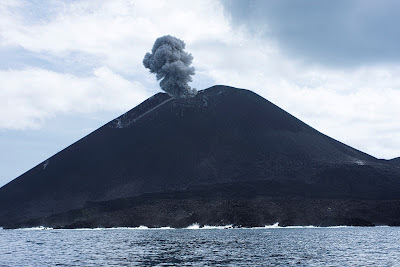 It includes the volcanic island group of Krakatoa in Lampung province, and other islands including Panaitan, as well as smaller offshore islets such as Handeuleum and Peucang in the Sunda Strait. Geography : The park encompasses an area of 1,206 km² (443 km² marine), most of which lies on a peninsula reaching into the Indian Ocean. 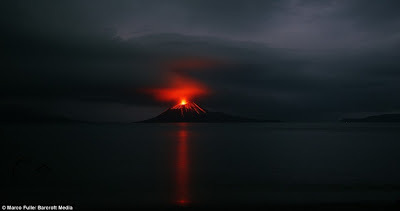 The explosion of nearby Krakatau in 1883 produced a tsunami (giant wave) that eliminated the villages and crops of the coastal areas on the western peninsula, and covered the entire area in a layer of ash averaging 30 cm thick. 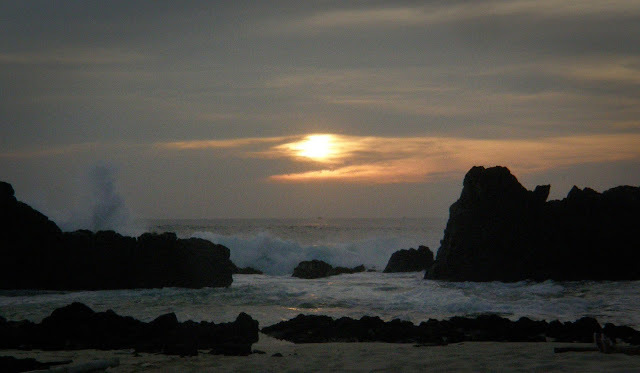 This caused the total evacuation of the peninsula by humans, thereby allowing it to become a repository for much of Java’s flora and fauna, and most of the remaining lowland forest on the island. Ecology : It is Indonesia's first proposed national park and was declared a UNESCO World Heritage Site in 1991 for containing the largest remaining lowland rainforest in Java. After the 1883 eruption of Krakatoa, many settlements in the park were wiped out and never repopulated. 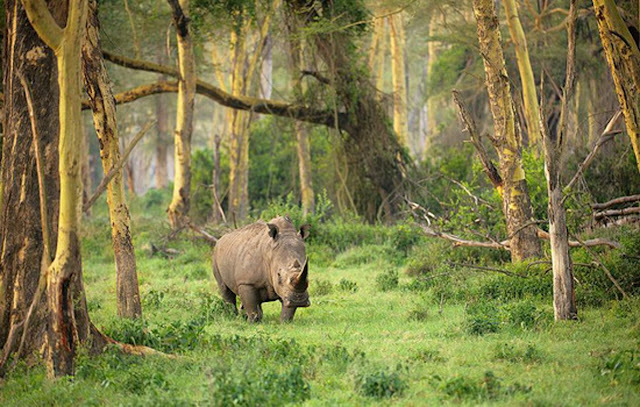 Ujung Kulon stands as the last known refuge for the critically endangered Javan rhinoceros after poachers killed the last remaining rhino in Cát Tiên National Park of Vietnam, where a small population of 10 or less remained back in 2010. 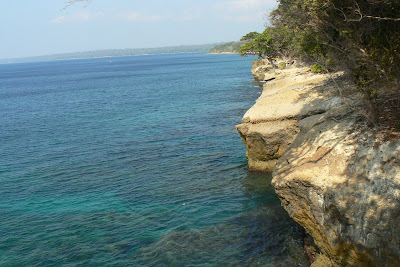 In Ujung Kulon the population has been estimated at 40-60 in the 1980s. Within 2001-2010 there have been 14 rhino births identified using camera and video traps. 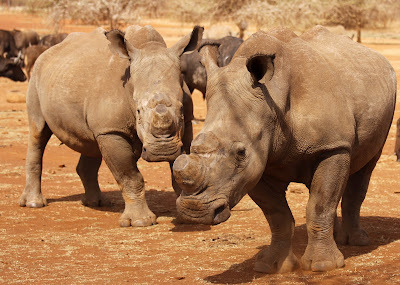 Based on recordings taken between February and October 2011, 35 rhinoceros have been identified, of which 22 were males and 13 females. 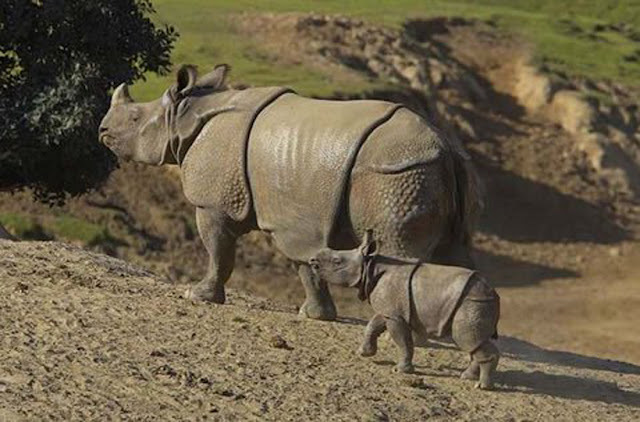 Of these 7 were old, 18 adults, 5 youngsters, and 5 infant rhinos. Increasing from previous years, in 2013 there were 8 calves which 3 of them were female and 50 teenage and adult which 20 of them were female identifying using 120 video cameras functioning at night with moving sensor. It was accurate data, because every rhino has unique morphology as finger print, mainly skin wrinkles around the eyes. By 2013 feeding areas of Eupatorium odoratum vegetation have been reduced from 10 locations comprising 158 hectares to just 5 locations comprising 20 hectares. Thus competition for feeding ground between the solitary Rhinoceros and Banteng also increased. The park also protects 57 rare species of plant. The 35 species of mammal include Banteng, Silvery gibbon, Javan lutung, Crab-eating macaque, Javan leopard, Java mouse-deer and Rusa deer, Smooth-coated Otter. There are also 72 species of reptiles and amphibians, and 240 species of birds. 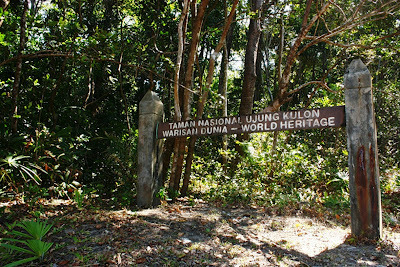 Conservation : Parts of today's national park and World Heritage site have been protected since the early 20th century. 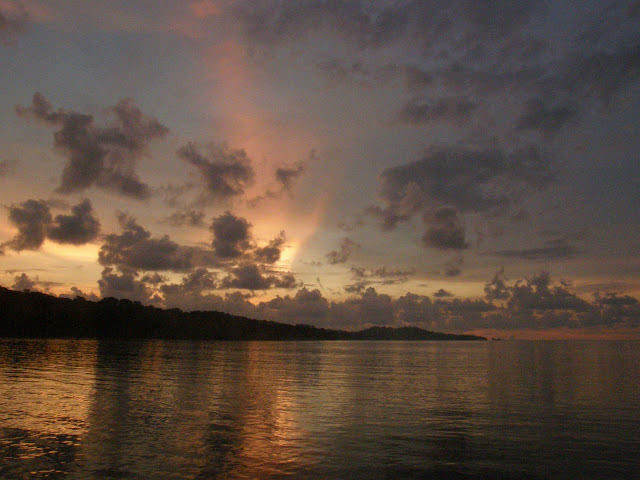 Krakatoa (or rather, the three minor islets which remain of it) was declared as a Nature Reserve in 1921, followed by Pulau Panaitan and Pulau Peucang Nature Reserve in 1937, the Ujung Kulon Nature Reserve in 1958, the Gunung Honje Nature Reserve in 1967, and most recently Ujung Kulon National Park in 1992. In 2005 the park was designated as an ASEAN Heritage Park.